Sheffield Shield 2018 Fixtures: Sheffield Shield is the name of the first class four day cricket Competition in Australian Domestic Cricket. 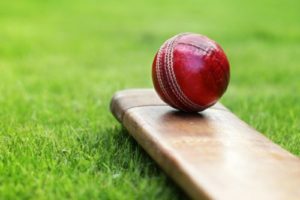 Check the Sheffield Shield 2018 Schedule on CricketHerald.com in this post as part of the coverage of Australian domestic cricket. Listed out are the Sheffield Shield 2018 Fixtures. Follow our site for Sheffield Shield 2018 live scores, results and updates. The Sheffield Shield 2018 will feature 6 teams. A total of 31 matches will be played in the Sheffield Shield 2018 which begins from October 16 and ends on April 1, 2018. All the matches of the Sheffield Shield 2018 will be played at different grounds. Thank you for visiting our website for the Sheffield Shield 2018 Schedule. Hope you got all the required information on Sheffield Shield 2018 Fixtures. Don’t forget to visit this page again to check the Sheffield Shield 2018 scorecards.